The Red Chute Diversion Structure is a completed flood protection project of the Bossier Levee District. The purpose of the diversion structure is to divert water from Red Chute Bayou over to Flat River during certain high water conditions and under U.S. Army Corps of Engineers (USACE) guidelines. By diverting the water to Flat River, the potential for the Red Chute Bayou Levee to be overtopped leading to flooding of the areas that are protected by it is greatly reduced. By policy, the water can only be diverted when it reaches an elevation slightly below flood stage on Red Chute Bayou and when the water elevation on Flat River is low enough to allow for the additional water from Red Chute Bayou without flooding Flat River, with one exception. If it is determined that flood waters will overtop Red Chute Bayou Levees, the gates on the diversion structure will be completely opened in order to minimize flood damage to the Levee. This action is taken based on the fact that when the levee is overtopped, the flood water will go to Flat River whether the gates are open or closed. 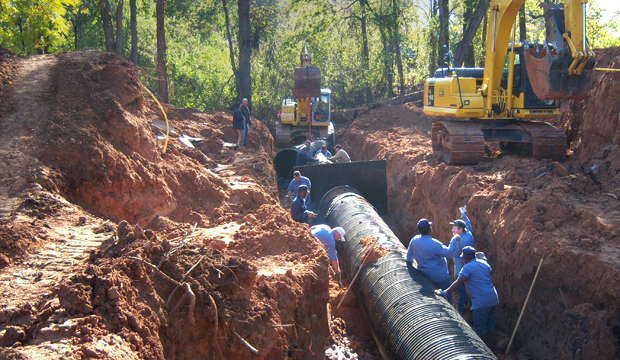 The Bossier Levee District installed a new outfall pipe on Red Chute Bayou near Cane Bend Subdivision in the fall of 2008 with assistance from the Bossier Parish Police Jury. Outfall pipes allow water to drop into the Bayou without eroding the banks. This outfall pipe replaced a rusted existing pipe which had significantly deteriorated. The outfall pipe drains water from an old cut-off section of Red Chute Bayou which was formed when Red Chute Bayou was realigned many years ago. 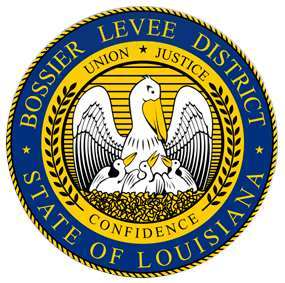 The Bossier Levee District Flat River Bank Stabilization Project is located along the east bank of Flat River and runs from Shed Road to approximately 2000 feet north of Coy Road near Stockwell Subdivision. 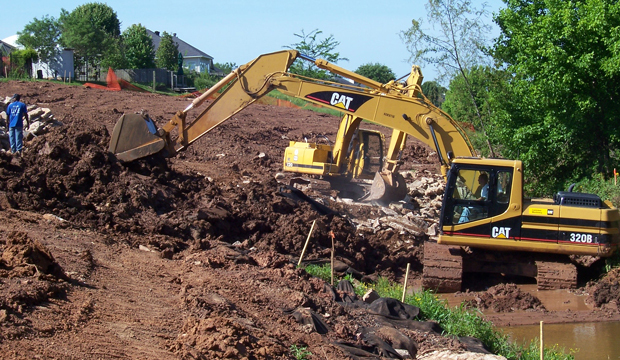 This project was developed to repair slopes along the Flat River which had begun to erode and slide, threatening homes located along the top bank of the river. The project was constructed in five (5) phases with final completion in March of 2012. 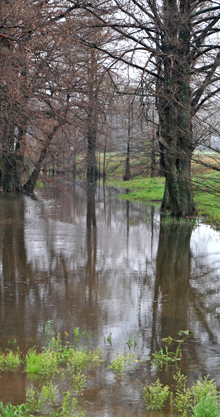 Phase I was funded by the Levee District. The remaining phases were funded jointly by the Levee District and the State of Louisiana through the capital outlay process.